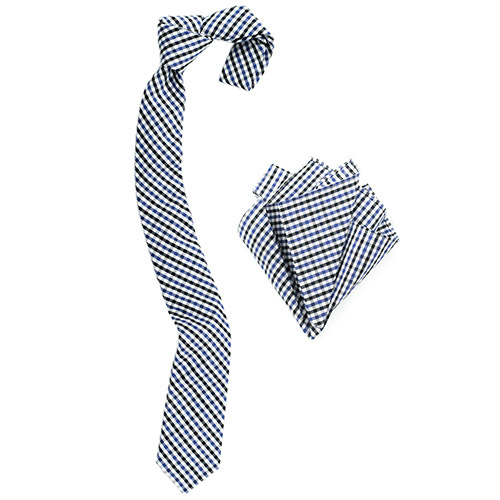 Gingham tie and handkerchief in blue and black on white background. Soft cotton and a beautiful checked pattern that's easy to match with any lighter colored shirt. It's a winner. 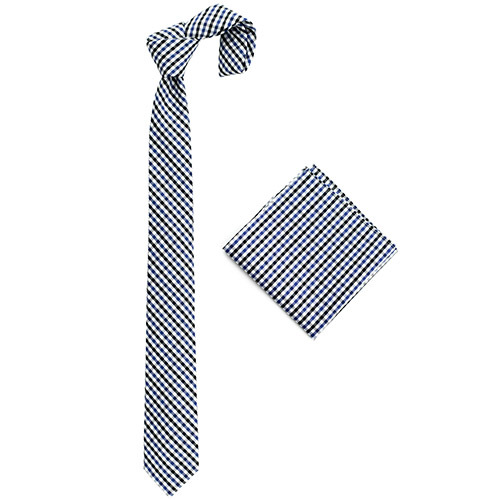 This combo includes the matching pocket square - the perfect color addition to your jacket.